Guppy aquaponics may not be the first thought that comes to mind when considering the best aquaponics setup for your home. However, they are a viable option. In fact, raising guppy in aquaponics can actually help to improve the success of your system! That’s alongside the fact they are fantastic to look at and generally very hardy. Of course, if you’re going to opt for guppy aquaponics then it’s important that you understand the fish and their tolerance ranges before you add them to your tank. This will ensure you have the best possible conditions; providing you with the highest chance of creating a success guppy aquaponics system. The common guppy is also known as the million fish or rainbow fish. 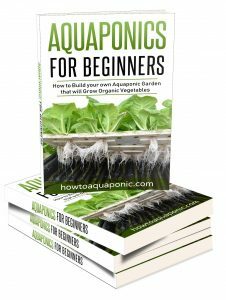 It is available nearly everywhere in the world and is an incredibly popular choice for home aquariums and aquaponic systems. The male tends to be brightly colored while the female is plainer. The Endler guppy is closely related to the common guppy. It is visually stunning in red, green and silver, and, it benefits from a particularly peaceful nature. What is useful to know is that the Endler guppy loves warm water while the common guppy is happier in cold water with a strong flow. You may also want to note that the female Endler guppy can reach 1.4” long while the male stops growing at 1 inch. 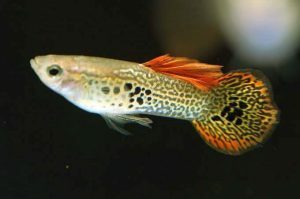 The habit of breeding for the best colors has led to a huge array of colors, patterns and even shapes of the guppy. Domestic guppies are generally more colorful than their wild counterparts and have larger bodies. 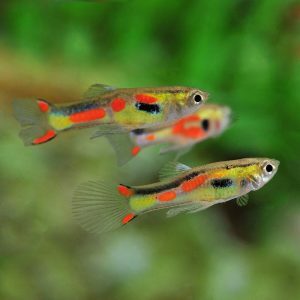 The best temperature for guppies is between 72°F and 78°F. They can tolerate small fluctuations above and below this but will not function as well. Alongside keeping the temperature right it is important to maintain a pH of between 6.7 and 8.5. This is quite a wide range which makes it simpler to look after your guppy aquaponics system. male guppy will be between .6” and 1.4” long. I contrast a female guppy will be 1.2”-2.4” long. Can You Combine Guppy With Other Fish? It’s relatively rare to combine fish in an aquaponics set up because you’ll have multiple needs to fulfill at the same time. However, guppies are very tolerant of other non-aggressive fish such as white cloud mountain minnow, neo tetra or to catfish. These won’t stress your guppies or cause interbreeding. Check out the answers below to the most commonly asked questions. If you can’t find the answer to your query here then contact me for help. Guppies love to exist in tanks with plenty of fauna. In fact, your fish are more likely to feel comfortable if they are in a tank with floating plants. To ensure they stay in peak health it is best to feed them with dry fish flakes. This will allow you to see what they are eating and adjust the quantity accordingly. You can use live foods, such as bloodworm, or Cyclops but you’ll need to make sure you don’t give your fish more than they can eat as guppies are prone to becoming obese. How big do guppy get? Make no mistake guppies are small fish. If you’re planning on building a guppy aquaponic system you’ll need to consider how much space you have in order to decide the maximum number of fish you can have. The average male guppy grows to 1.4 inches while the female can reach 2.4 inches; these are not big fish. Technically a guppy is edible. However, they are very small fish which does mean that you won’t gut them or clean their insides before eating them. This leads to two potential problems. Cooking should kill any diseases inside fish but if you fail to cook your guppy properly you will increase your likelihood of becoming ill through the bacteria inside the guppy. Guppies are small, you’ll need a lot of them to give you a decent plate of food. While they multiply quickly, it is unlikely they will be a viable food source to feed you or your family. 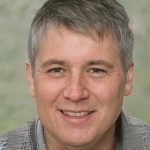 In general, guppies are not eaten, but it is possible if you want to. Guppies reproduce very quickly. This is partly because they have short lifespans and also because they are easy prey for many other fish due to their size. The average guppy will only live to be 2 years old in the wild. In your guppy aquaponics system, they could survive as long as 5 years. Where to buy guppy fish? You can pick up guppy fish at any local pet store. They are extremely common and easy to purchase. The size also reflects a low price which should make you feel more comfortable if you have any issues. In general, this is not a good idea. While the tilapias are young they may be smaller than the guppies and you should encounter no issues. However, once the tilapia grow bigger than the guppies they are likely to eat them. That’s not good for your guppy aquaponics setup! The primary purpose of fish in your guppy aquaponics system is to provide waste which can be converted into nitrates for your plants. However, it is nice to have active fish as this makes it more interesting to watch them. Guppies are known to swim near the surface of the water and will move around surprisingly quickly. 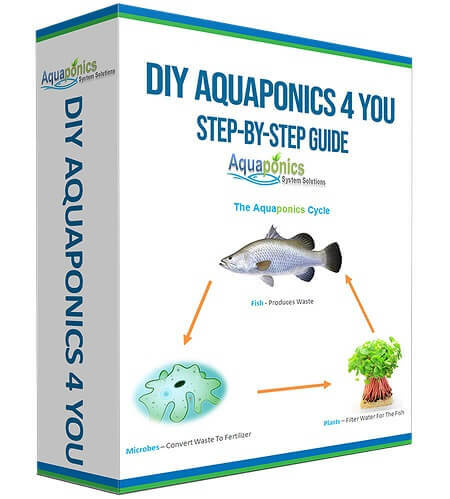 They are active and entertaining fish; the guppy aquaponics system is a good investment for anyone who has a little experience with aquaponics.